A McCarthy Gin manufactured to an 1881 patent specification by Platt Brothers Ltd. in Oldham, England. This rear view shows the spirally-wound textured roller that works in conjunction with the reciprocating blade to gin the cotton. 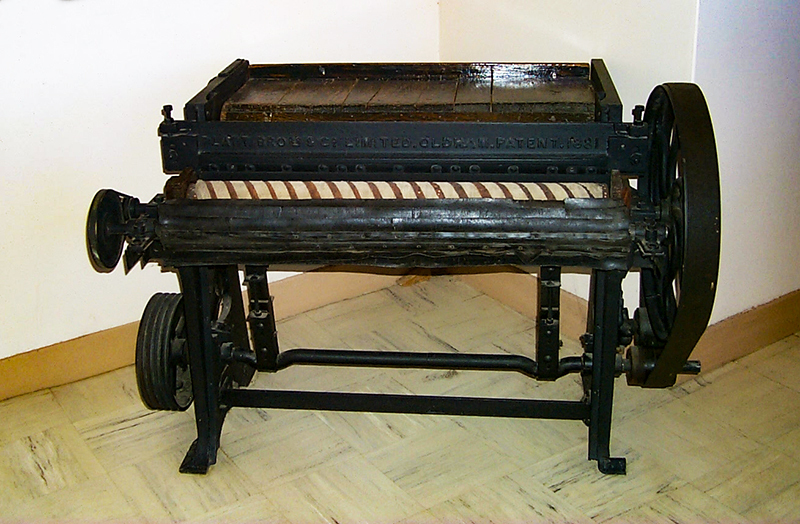 In front of the roller is the characteristic leather doffing roller.